The winter months always gets me a little gloomy. Maybe it’s because I feel like I can’t break out or favorite spring designated pastel colors or maybe it’s just that it hasn’t stopped raining this month! I’ve decided to perk up my fashion mood this week with this unexpected winter color combination and you know what? It totally did the trick in elevating my mood. 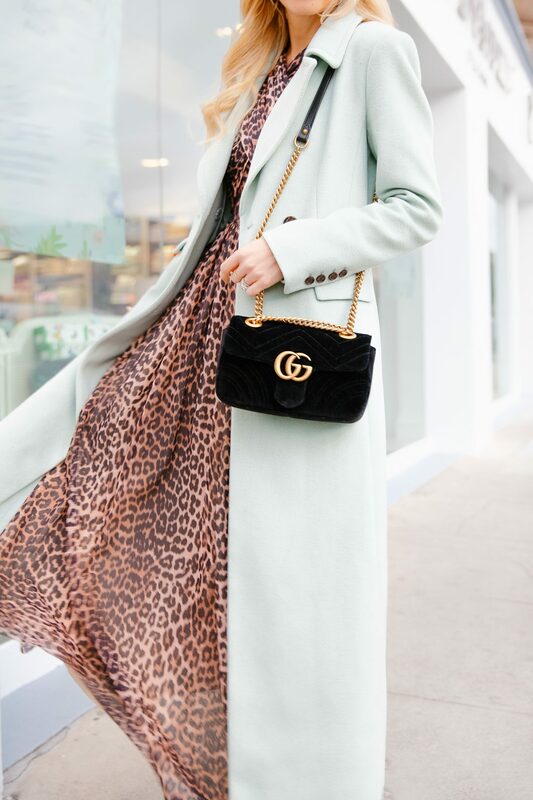 Whatever you have in your closet that you can layer for a winter look, whether it’s a lavender or blush coat, stick to the rule of using leopard as your neutral. (crazy I know, but kind of works!) Leopard print went from being ‘edgy’ to so prevalent this season, that we now look at it in a whole different way. And the good news is, it doesn’t seem to be going anywhere anytime soon! The reason I love using it as a neutral is that it adds a pop of extra drama while keeping your color scheme on point with what a regular neutral like black, brown or grey would do. Layer on the second color but stay away from prints because this will just overwhelm the look. Then add accessories that will tone the whole thing down a bit. Neutrals or black is the way to go. And voila! You’ve got yourself an out of the box winter look, which is completely unexpected for this gloomy January. By the way, though it is more of an investment piece, this gorgeous Ganni dress which I got last year, has been in such a heavier rotation than I ever thought it would be. 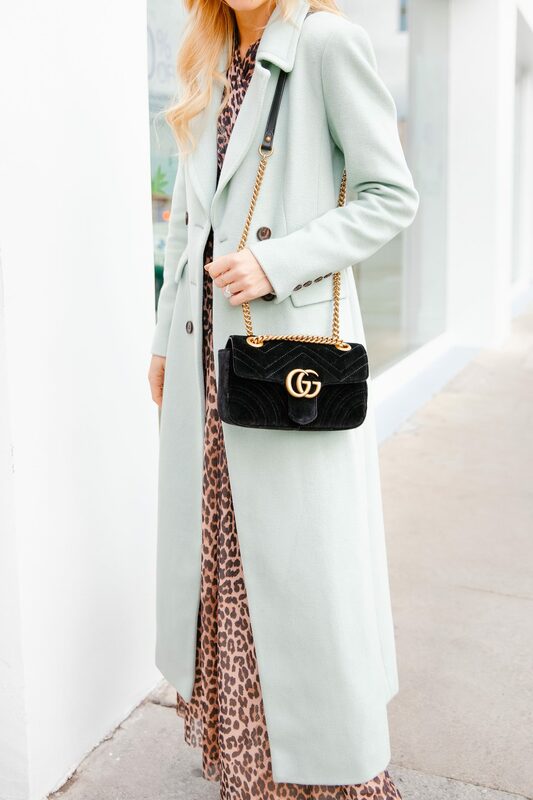 Ganni brought it back this season at a lower price point, so now I really can’t recommend it enough!